While the Panzer 38(t) had largely become obsolete as a tank in early 1942, it was still an excellent platform for adaptation into a tank destroyer, among other roles. Since the Soviet 76.2 mm field gun was captured in large quantities, the decision was made to mate this gun to the Panzer 38(t). To do so, the turret and upper superstructure of the Panzer 38 were removed and a new superstructure was bolted on to the chassis. The upper structure mounted the gun and an extended gun shield, giving very limited protection for the commander and the loader. Armour protection overall ranged from 10 to 50 mm. The gun, commander and loader were located on top of the engine deck. It had higher silhouette than Panzer 38, which made it more vulnerable to enemy fire. The now-called 7.62 cm PaK 36(r) was rechambered to be able to use standard German 75 mm ammunition, of which 30 rounds could be carried inside the vehicle. Apart from the main gun, there was a 7.92 mm machine gun mounted in the hull. This tank destroyer was put into production as the Panzerjäger 38(t) für 7.62 cm PaK 36(r), Sd.Kfz. 139. 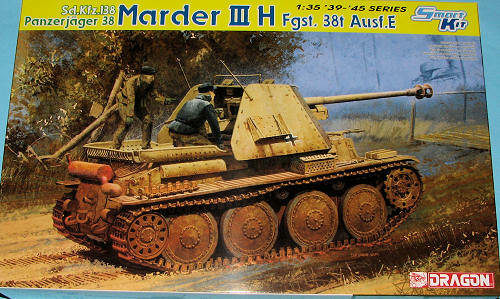 A total of 363 of this Marder III variant were built from April 1942 to 1943. The next variant of the Marder III fielded the standard 7.5 cm PaK 40 German anti-tank gun on the Panzer 38(t) Ausf. H. This had the engine in the rear of the vehicle (Ausf. H standing for Heckmotor (rear engine), same as Panzer 38. Unlike the previous model, however, this vehicle utilized the fighting compartment of Panzer 38 in the center. Center compartment allowed crew to stay low in the center of the vehicle, lowering crew exposure to small arms fire and fragments. But because of the rear-mounted engine, there was only enough room for two men to stand in the center. Large side armor gave additional protection for the crew. However, the horseshoe shape armor thinly protected front and side only. The rear and the top were exposed. Thirty-eight rounds of ammunition for the gun were carried. As with the Sd.Kfz.139, this vehicle also carried a 7.92 mm machine gun in the hull, of Czech manufacture. The full name of this variant was the 7.5 cm PaK 40/3 auf Panzerkampfwagen 38(t) Ausf.H, Sd.Kfz. 138. 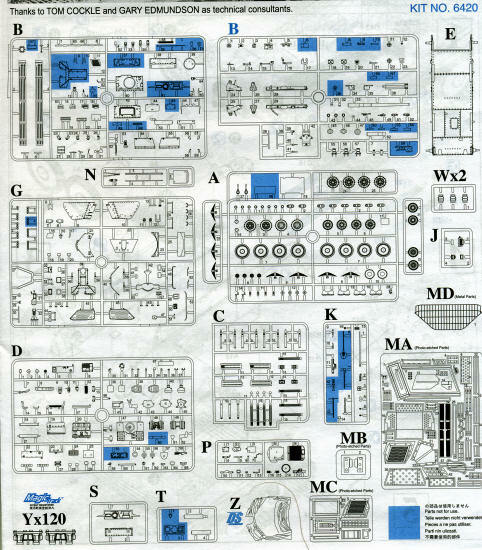 The production figures for the 418 Ausf. H Marder IIIs are as follows; 243 (including a single prototype) were built new from November 1942 to April 1943. 175 were converted from Panzer 38(t)s in 1943. Here is another in Dragon's growing line of Marder III variants and one would think that they'd hit a wall at some time, but it won't be for a while. 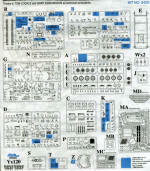 This kit has several newly tooled parts in order to provide the greatest detail possible. The use of Magic Tracks accounts for a portion of the 650 plus parts count, but these really are superbly done and look the part when installed. I also like the use of the crew cover made from DS material. This is the perfect use for deformable styrene and provides something that no other kit of this vehicle can offer. As the list of parts and upgrades is large, once again I defer to the Dragon PR folks. Instructions are very good, using Gunze and Model Master paint references. The markings and camo are very non-descript, offering basic insignia and the choice to do yours in overall Panzer Grey or Panzer Yellow. Both options are from the Eastern Front in 1943/44 so I guess you could embellish things a bit without worries of chastisement from fellow armor modelers. Yet again, Dragon has provided us with an excellent kit of an interesting variant to add to our collections. My thanks to www.dragonmodelsusa.com for the preview kit. Pick yours up today at your local shop or on-line retailer.